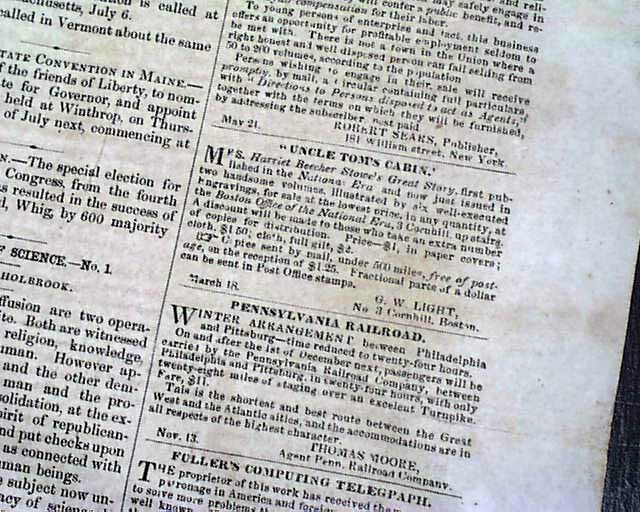 Page 3 has not one, but two advertisements for the sale of: "Uncle Tom's Cabin". 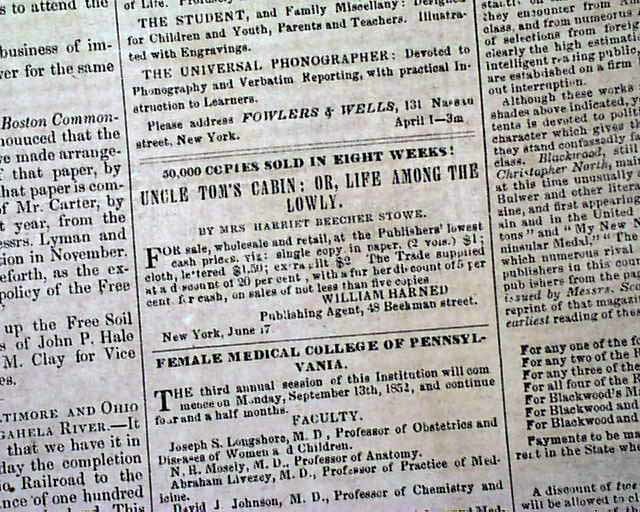 One ad begins: "Uncle Tom's Cabin: Or, Life Among The Lowly. By Mrs. Harriet Beecher Stowe. For sale, wholesale and retail..." and the other begins: "Mrs. Harriet Beecher Stowe's Great Story, first published in the 'National Era' and now just issued in two handsome volumes..." with more. 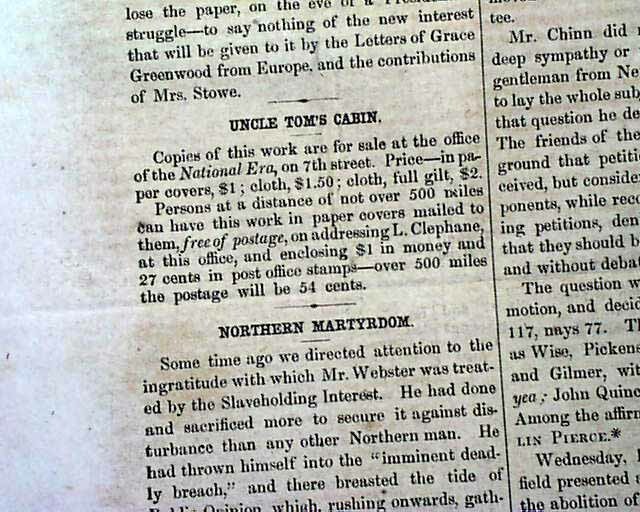 Also page 2 has a notice headed: "Uncle Tom's Cabin" (see). 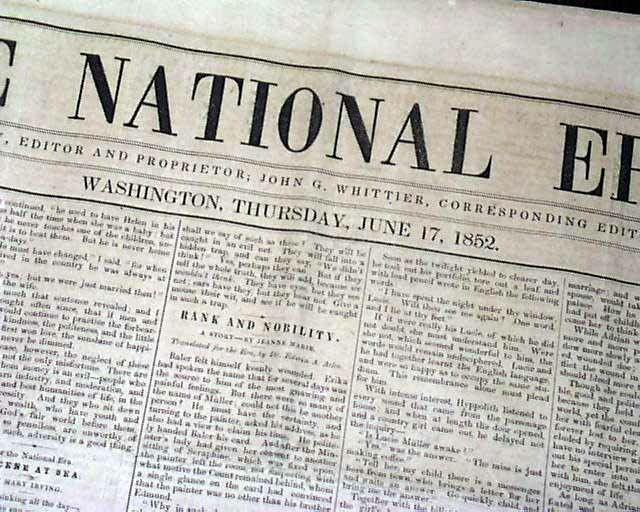 The "National Era" was the newspaper which introduced the famed "Uncle Tom's Cabin" to the world, being serialized in this newspaper before the published book was available. 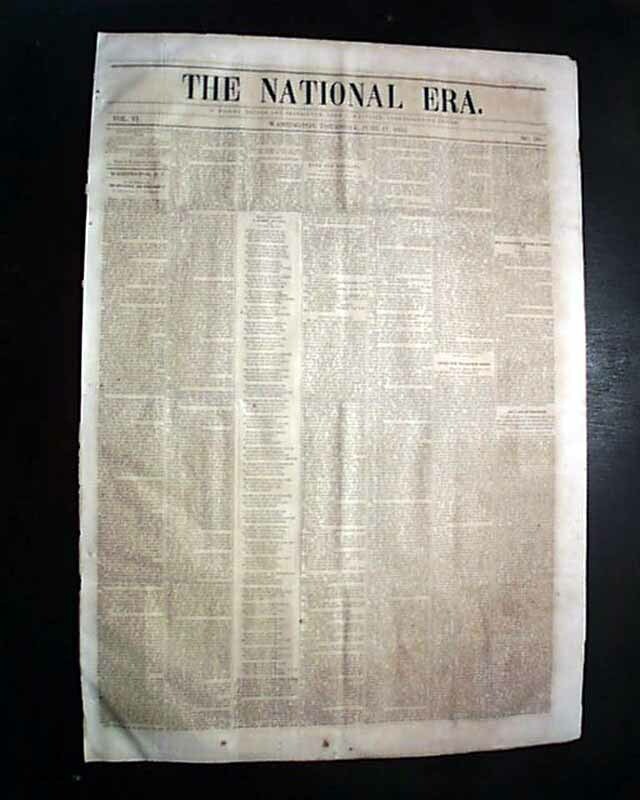 Four pages, never-trimmed margins, very nice condition. Folder size noted is for the issue folded in half.